At the office of Dr. Roseann Capanna-Hodge, we provide a variety of therapies that utilize QEEG, otherwise known as brain mapping. This enables skilled practitioners to see unique patterns of your brain. This could mean that there is not enough activity, too much activity, or areas of your brain that have very minimal activity and need improvement. 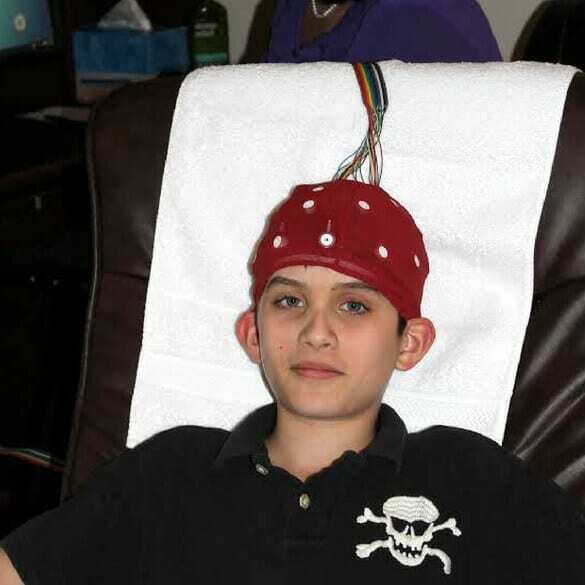 For both our Neurofeedback and Biofeedback therapies, we often begin with a QEEG as your initial assessment. With the help of QEEGs, conditions such as ADD, LD, OCD, Depression, Bipolar Disorder, Head Injuries, Dementia, Stroke or Anxiety can be determined. QEEGs are a beneficial tool that find the reasoning behind certain illnesses or symptoms. After performing a QEEG, we’ll be able to identify cognitive and psychiatric problems, finding which brainwave patterns need improvement, and determining which therapy (either Neurofeedback or Biofeedback) can best help your situation. After your therapy sessions, we’ll also be able to track your progress through multiple QEEGs overtime. Why Dr. Roseann for QEEGs? When you attend QEEG sessions at our office, you will be met with comfort and care from all of our practitioners. During your time of need, we’ll be there to assist you and figure out the best treatment plan. In fact, Dr. Roseann will personally interpret all of our QEEG data. She is a highly skilled practitioner with years of experience who will provide our clients with custom-fitted Neurofeedback, Biofeedback, and Advanced Bio-Regulation treatment plans. The first step to getting better is to realize that you must seek help. When you make this important decision, we’ll be here to provide you with expert care. What Happens During a QEEG Session? During your treatment session, one of our therapists or practitioners will guide you through the necessary steps of a QEEG. You’ll begin by getting relaxed, sitting in a comfortable chair, and having a cap placed on your head. We will then attach electrodes to your scalp (which will come off after your session) to help collect data. By attaching these sensors to your scalp, we’ll be able to collect data that reflects your cortical electrical activity, otherwise known as brainwaves. During your session, you’ll need to remain as still as possible, minimize any head or jaw movement as well as blinking your eyes. You must also stay awake during your test. How Long Does a QEEG Session Last? The QEEG test will be subjective to each patient. It can take between 30-60 minutes until completion. The length of your session depends on how still you remain as well as alert to provide accurate data. How Do I Prepare for a QEEG? The best way to prepare for your QEEG is to get enough rest. During your treatment, you will need to be alert to result in an effective reading. Since you will be wearing a cap during the test, we ask that you wash your hair but refrain from using creme rinse or conditioner additives. Upon arrival, make sure that your not braided, dry and does not have any gels or hair spray in it. All of these steps are simply for sanitary reasons for our equipment. No! A QEEG is completely painless. There are no needles or electrical stimulation present in this kind of test. Can I Eat Before My QEEG? You are able to eat before the test occurs, but you should limit your fluid intake at least two hours before you receive your test. We ask that you limit diet drinks or caffeinated drinks as well. For those who are over the age of 21, you cannot drink alcohol 3 days prior to the test.